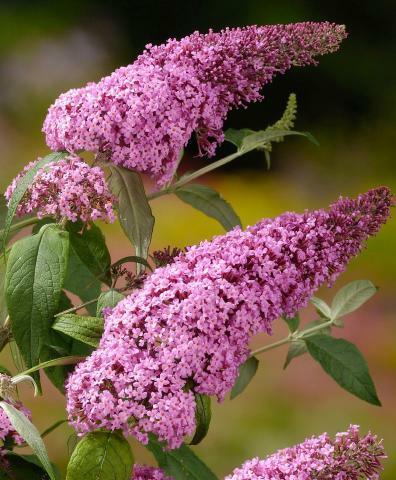 Butterfly bush with huge arching plumes of rich rosy pink scented flowers July onwards. 2m tall when cut back hard every February. Sun and good drainage. Loved by butterflies and bees.